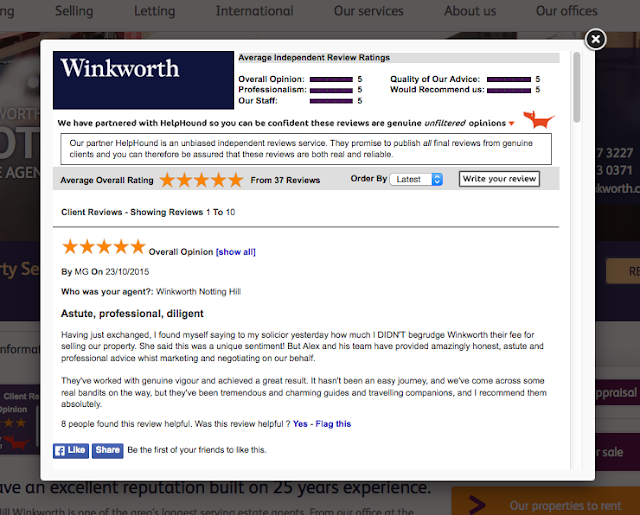 How can reviews help an agent when it comes to that point all of you dread, when the clients says "I reckon you've got the job, now let's discuss fees." How about if you had a review like this that you could show them? A final note: see how many people have voted that single review helpful in the week since it was posted.